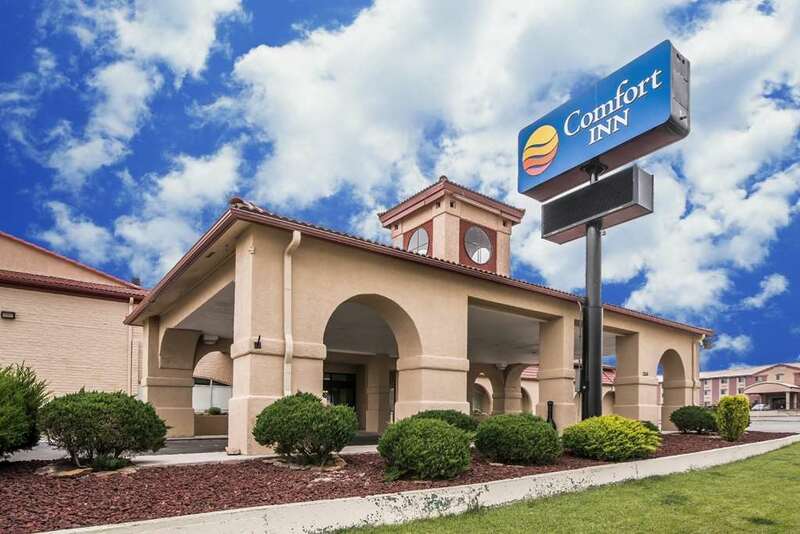 Behind every great day is a great night at the Comfort Inn hotel in Santa Rosa, NM near Historic Route 66. Nearby attractions include the Route 66 Auto Museum, Santa Rosa Lake State Park, WIBIT water park, Blue Hole scuba diving area and Park Lake. Santa Rosa Route 66 Airport is also nearby. Enjoy amenities like free hot breakfast, free WiFi, free airport transportation, guest laundry facilities and an indoor heated pool. Additional amenities include a meeting room and business center with access to copy and fax services. Guest rooms include a flat-screen TV, coffee maker, safe, hair dryer, iron and ironing board. Also, earn rewards including free nights and gift cards with our Choice Privileges Rewards program.